Adobe has developed some of the most influential computer tools ever created, including the likes of Photoshop. There are a few bad apples too among their inventions, though. Digital online media was largely built on previous generation tools, such as Flash and Shockwave. Both software allowed the creation of multimedia and interactive media in completely new ways, and both developed by Adobe, of course. They both were great for a while, but also are, and have been for a fairly long time, very clearly obsolete for today's world. Fortunately neither of them is really used anymore, but officially they are both still supported by Adobe. Now Adobe has announced that they'll seize the distribution of the Shockwave, and that means the end of official support for the platform. 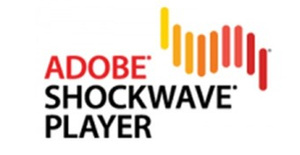 The death certificate of Shockwave will be signed on April 9, after which Adobe will no longer support Shockwave's Windows version. Mac version was killed already in 2017 but some support is offered for corporate clients until 2022. Flash won't be around too long either. Adobe plans to stop supporting Adobe Flash Player in 2020. Can we get a "Hip hip hooray" for HTML5? Once it works properly, perhaps? It's STILL buggy as hell.